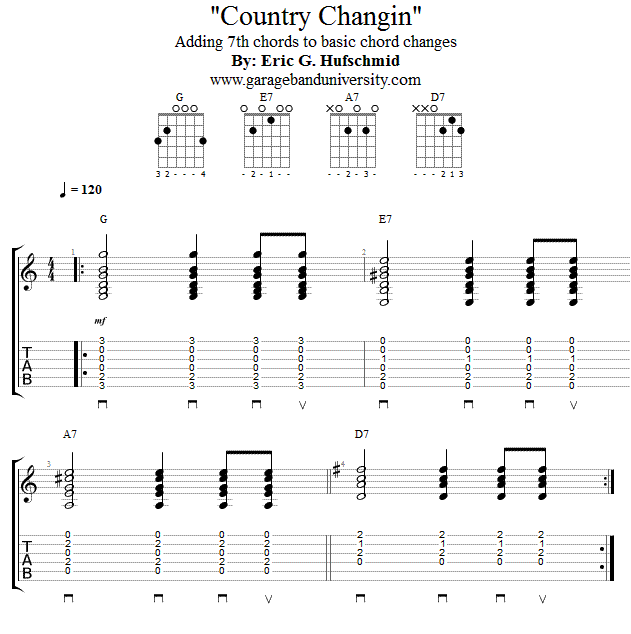 Today we’ll be looking at some chord changes commonly used by classic country players. They are known for open 7th chords that incorporate a dominant resolution. These strong progressions are great for country but can also be used in a variety of other styles.